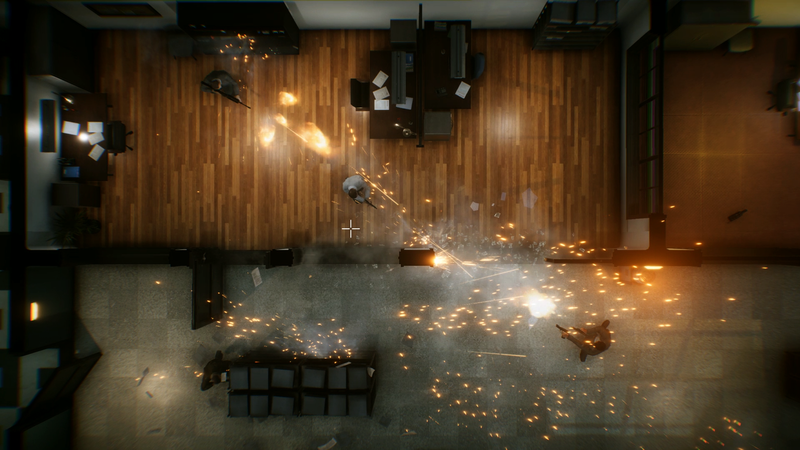 Developed by Swedish outfit VRESKI, The Hong Kong Massacre is an uber violent top-down shooter in the spirit of Hotline Miami (or Into the Eagle’s Nest on Commodore 64 depending on how well cooked you like your obscure references). This John Woo-esque title has more stylish violence and gritty rain-slicked Hong Kong streets than you can poke a stick at in slow-motion, but in terms of gameplay variety and narrative strength the package turns a good idea into a bit of a tedious slog. THKM puts you in the shoes of a former Hong Kong detective whose partner has been killed by the Triad gang. Conventional police work be damned, a dead partner calls for a vigilante killing spree, and thus our anti-hero begins his quest to tear the seedy Hong Kong underbelly apart…with guns. This is essentially as deep as the narrative gets, and despite it being quite simple at heart it unfolds in an odd manner. Brief cutscenes showing figures walking in slow motion in the rain or a close-up of our vigilante’s bloody face are peppered throughout the chapters, and while they strive for an artistic gritty vibe, they are altogether far too blurry and don’t really add much to the proceedings. I love a good vigilante revenge drama as much as the next bloke, but THKM doesn’t really hit the mark. THKM’s fast-paced gameplay is where it shines, and although there are only a few mechanics, they can come together in vastly satisfying combinations. With a very basic arsenal of guns (pistols, assault rifle, shotgun or SMG), your best friend in the game is your ability to dive through enemy fire like you’re fresh out of the Matrix, and also enter slow motion…also like you’re fresh out of the Matrix. Both you and your enemies go down in one bullet, so leaping over couches in slow-motion is essential to success. Gameplay can be extremely tense when you’ve got a room full of enemies with laser-precise aim and you’ve just burst through a window and are now sliding across the ground trying to send them all to Hades. Each level requires you kill absolutely everyone, and as the game wears on the enemy count increases significantly, and if you die then it’s right back to the start. Make no mistake, THKM is actually quite a challenging game, and while you get used to the rhythm of dodging, ducking, diving, dipping and dodging, one minor slip-up is all it takes to send you packing. Enemies are utterly ruthless and will spot you from a mile away, and when you’ve got a few on your back in a small space you will know the meaning of fear, quickly followed by knowing the meaning of frustration. On the balance of things I found THKM to be hard but not in an unfair way, but sometimes in an unfun way. Restarts are mercifully load screen-free, but after you’ve started up a sequence for the umpteenth time you start feeling less like a Hong Kong action hero and more like a slow-motion sloth with guns. 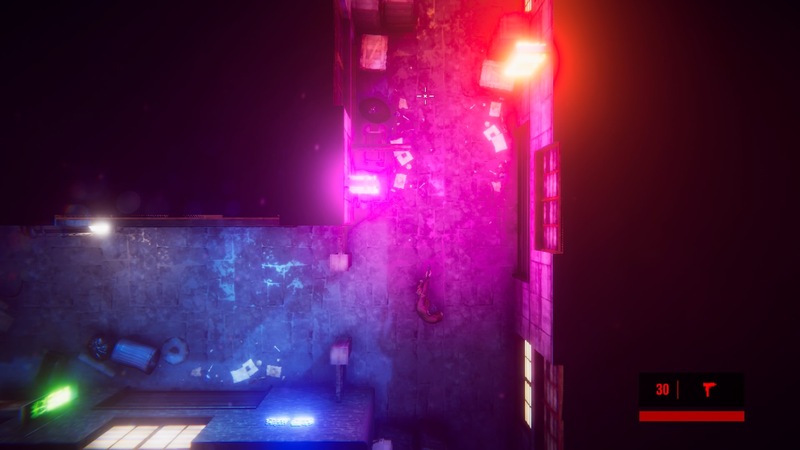 The game is designed in this way to incentivise mastering a level’s layout and honing your death-dealing skills so you can climb the leaderboards, but somehow it feels a lot less engaging than it did in Hotline Miami. Part of the reason for the fact that THKM goes from cool action fantasy to tiresome slog is in its distinct lack of variety. With only four weapons with rudimentary upgrades and a bunch of similar looking levels, each new locale and bunch of dudes to murder sort of blends into one monotonous schlep. Boss fights do mix things up slightly, but they are all the same as one another and there are only five of them. 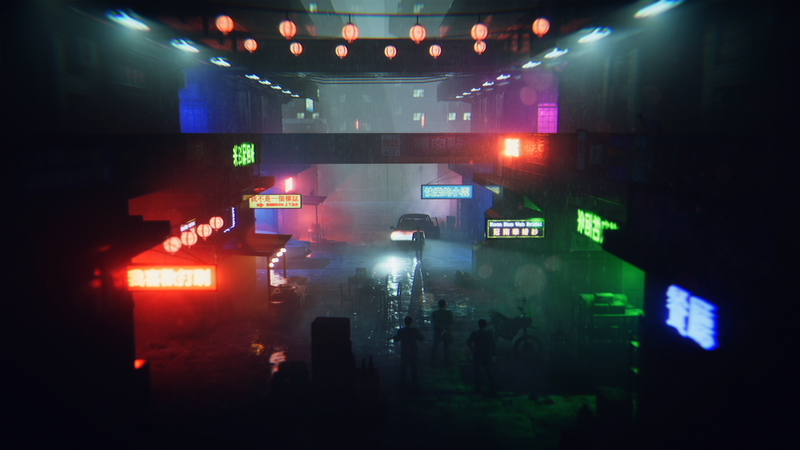 The game does look amazing though, and painting the interiors and exteriors of gritty Hong Kong with the blood of your enemies is extremely satisfying. Enemies don’t just take a bullet and keel over, they are comically thrown with the force of the bullet and leave a bloody mess in their wake. The lighting use is excellent, from the neon billboards to the dingy interior lighting of a seedy bar to the muzzle flashes of a million guns pointed right at you, the visual style amplifies both the high-stakes action and the frenetic pace. In a weird quirk however, the final kill cam for the last enemy in a level to be slain is blurrier than my memory of my early twenties. It seems like an odd thing to say, but it is blurry to the point where you can barely make out a human form, and I think the developers might have gone a bit too far with the attempts at injecting artiness into these sequences. THKM is a violent and stylish game that allows you to live out your top-down vigilante killing spree fantasies. Diving, slow-mo and shooting feel awesome when strung together well, even if it does start to wear a little thin before the credits roll. The game suffers from a lack of variety, and occasionally the challenge borders on simply being unenjoyable, but I’m sure you’ll find many that relish the style of gameplay and THKM may just become a cult hit because of it.